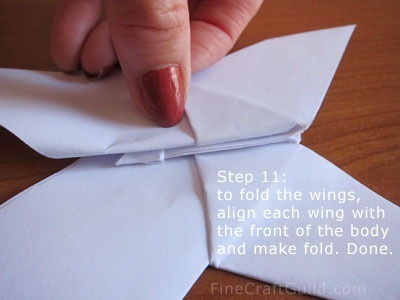 HOW TO MAKE AN ORGAMI BUTTERFLY – STEP 11. 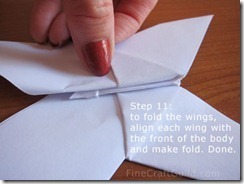 Next is give that body a 3D shape: fold each wings flush with the front of the center of the body. I am showing you how to do one of them, but you got to do both wings.